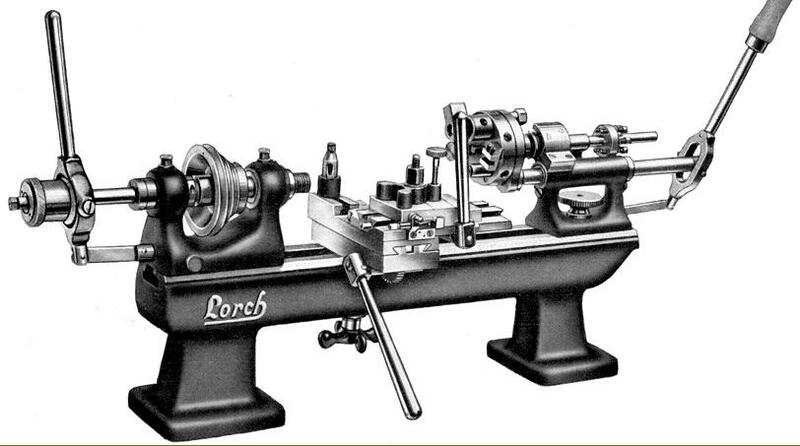 During the 1950 and 1960s Lorch continued their long tradition of manufacturing beautifully-made Precision Lathes designed for use in the instrument, optical and electronics industries. 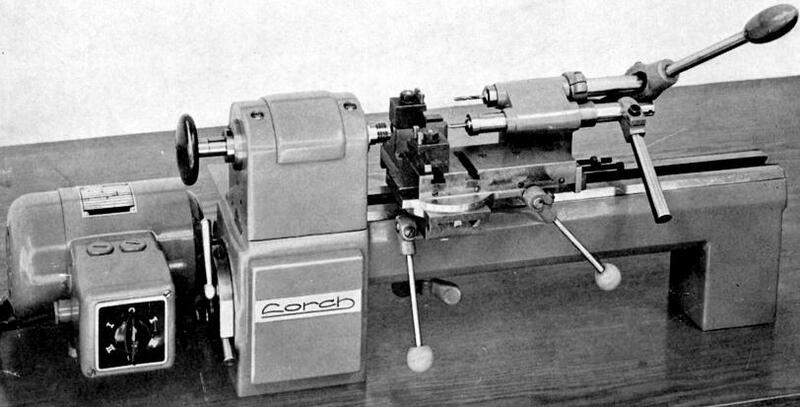 The most popular of these updated models were the plain-turning high-precision LLS and LLV and the backgeared, screwcutting LAS. Both the LLS and LLV were of 65 mm centre height and available with either a standard bed, which admitted 225 mm between centres, or a longer one with a 325 mm capacity; the only difference between the two models lay in their drive systems. 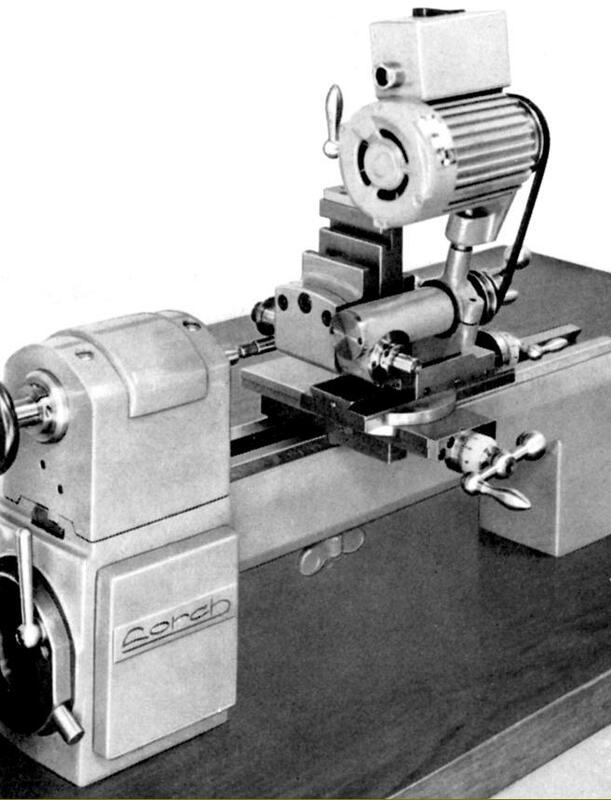 Hardened, ground, finish-lapped and running in tapered, adjustable bronze bearings, the 10 mm bore spindle was driven either directly (LLS) from a 1400 rpm motor - with speeds of 742, 1030 and 1410 rpm - or through a countershaft assembly (LLV) with speeds of 450, 630, 900, 1250, 1800 and 2500 rpm. 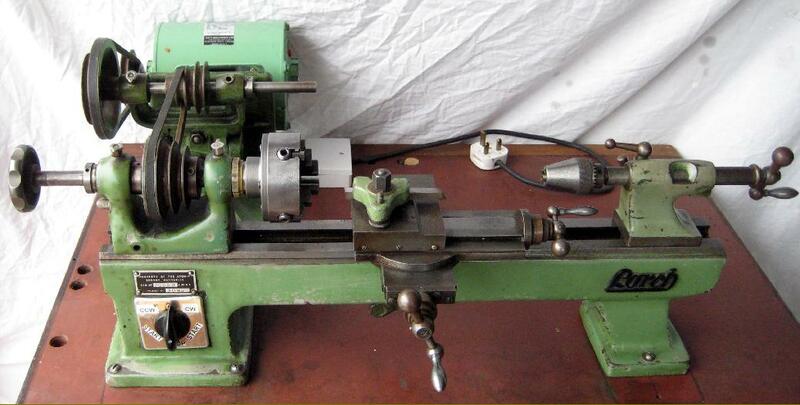 As an option a 2800 rpm motor was available which, of course, simply doubled the spindle speeds. 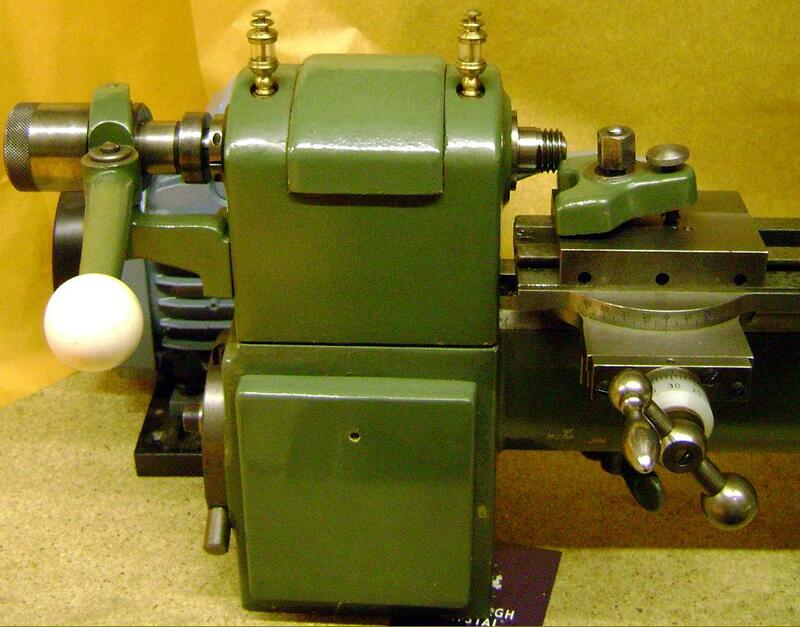 The speed band of the LLS was rather narrow, and lathes have been found with what look to be factory-fitted 2-speed motors which gave a much improved range starting at 742 rpm and extending to 2820 rpm. 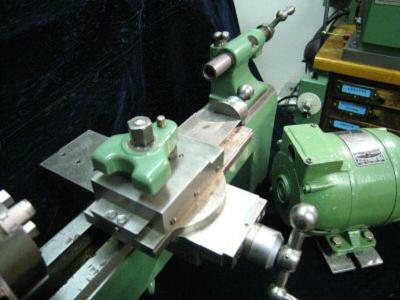 The maximum collet through capacity was 6 mm and the non-through 8 mm. 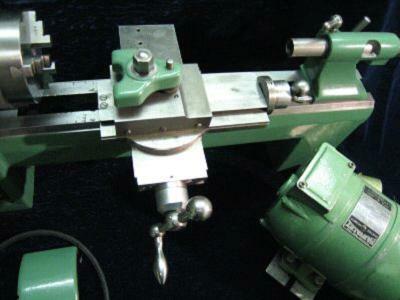 The cutting tool could be moved 90 mm longitudinally and 80 mm in transverse. 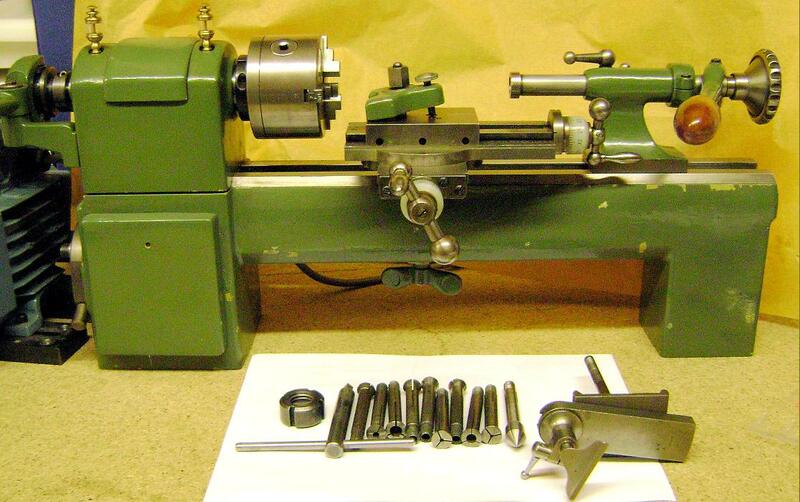 All versions had traditional compound slide rests with, on most models, the option of a screwcutting feed thorough changewheels and a universal-joint shaft to the very long-travel top slide; unfortunately this is a fitting rarely found on a used example. 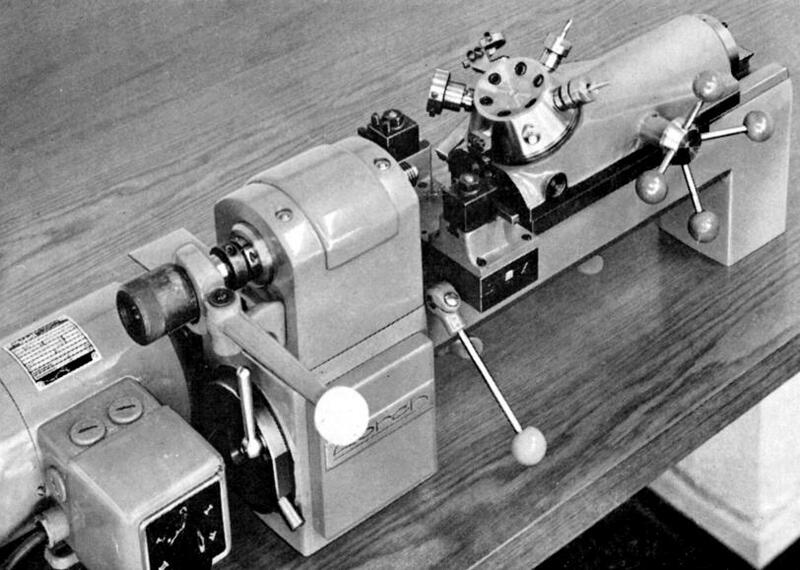 Looking more up-to-date the LLK had a motor mounted to the left of and slightly behind the headstock so that its V-pulley lined up with a countershaft held inside the lower part of the headstock casting. 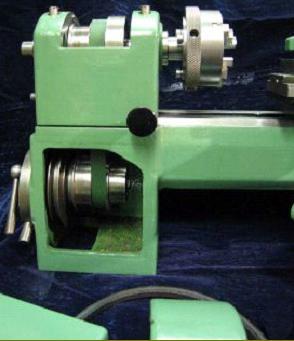 Final drive was by a flat belt running over 3-step pulleys, the countershaft assembly running in bearings held on an circular, eccentric plate that allowed the belt tension to be slackened for changes of speed. 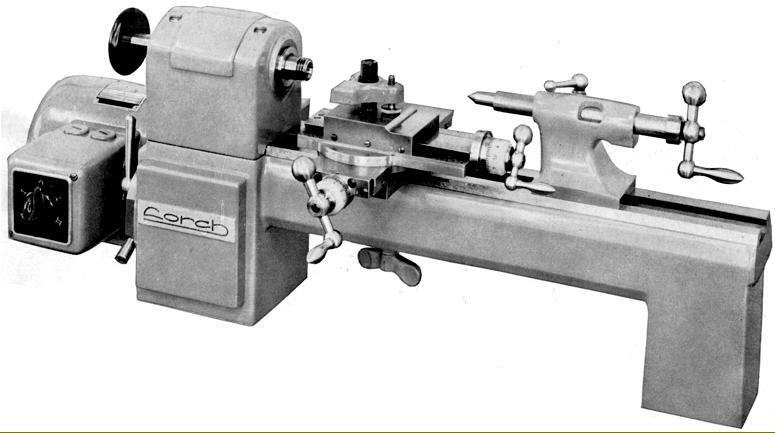 The rare KD50 was marketed as a very special model, smaller than the other conventional Lorch precision bench lathes it's centre height was just 50 mm. 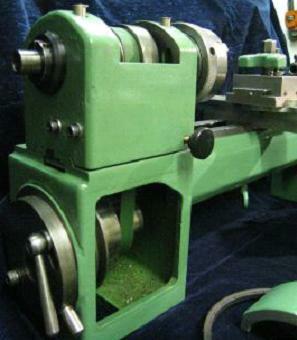 Available in just one bed length of 400 mm, with a between centres capacity of 185 mm, the spindle had a bore of 8 mm and carried collets with a maximum through bore of 5 mm and a non-through of 7 mm. 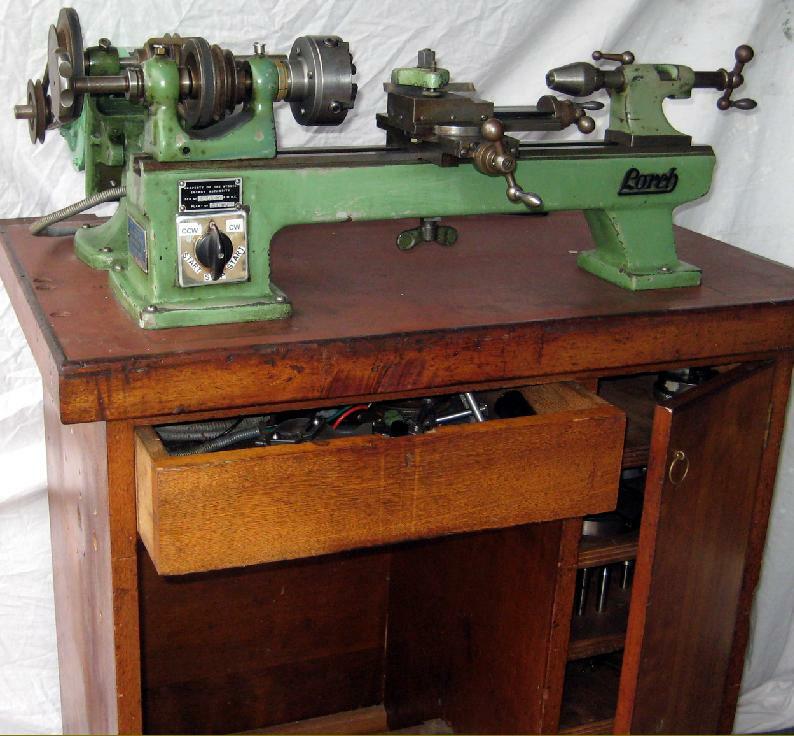 The bed of the lathe was formed into a large box-like casting behind the headstock on the back of which was built a very substantial countershaft unit. 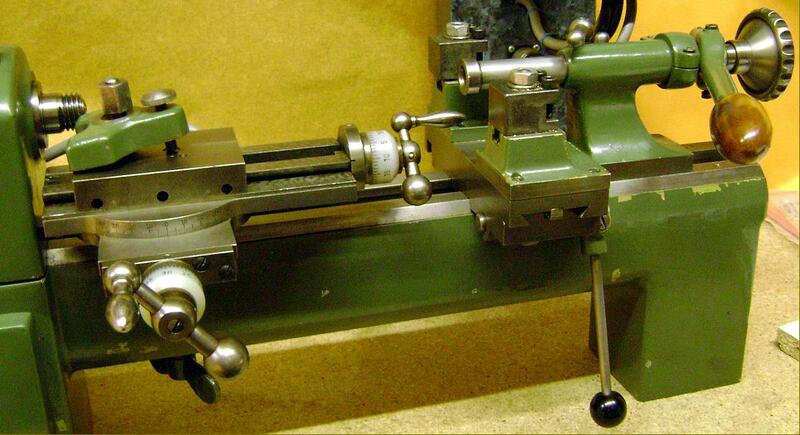 Fortunately the designer resisted the temptation to make the drive line too compact and spaced the motor well away from the headstock, the result being a smooth drive that worked effectively without excessive belt tension. 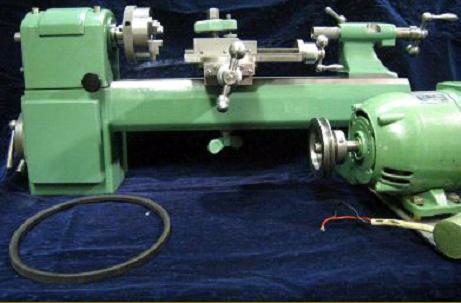 With a 1400 rpm motor on a separate swing bracket at the back, spindle speeds of: 324, 490, 725, 1040, 1560, 2320 rpm were available. 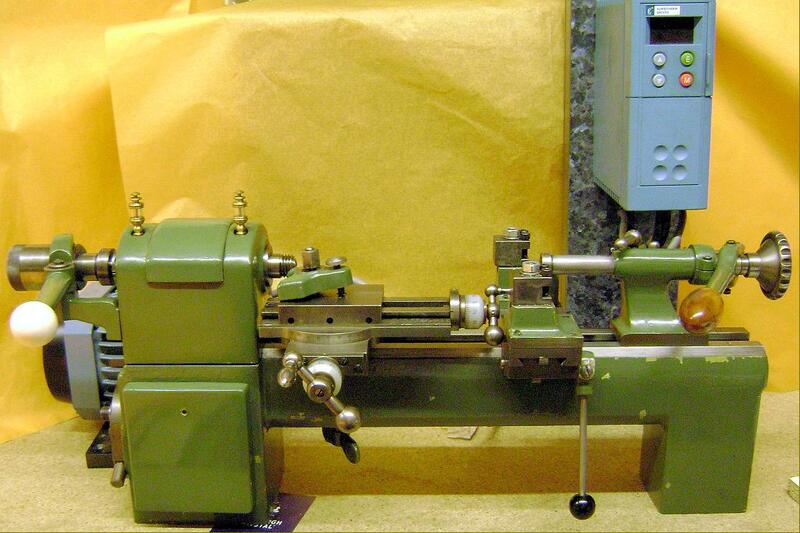 As an option a 2800 rpm motor could be fitted, doubling the speeds, whilst a few examples have been found with 2-speed motors giving twelve speeds in a much more effective range. 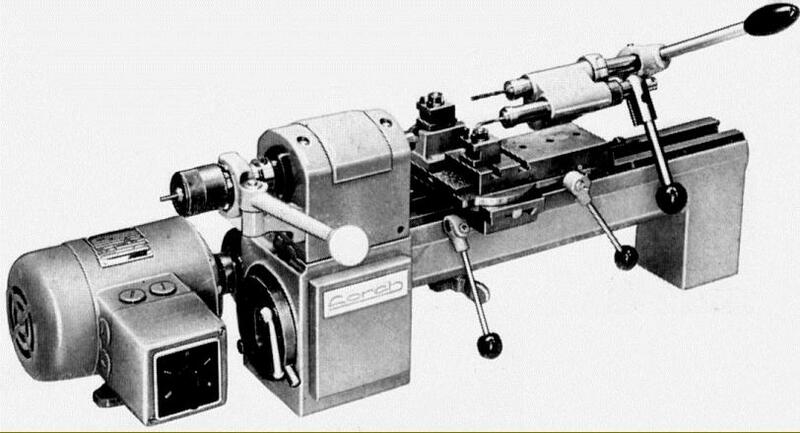 Today, if the lathe still has its 3-phase motor, a variable-speed phase inverter would be the ideal solution and allow an owner to get the very best from the system..
Model LL set up for production work with a lever-action to the collet closer, cross and top slides and fitted with a form of tailstock mounted indexing turret. 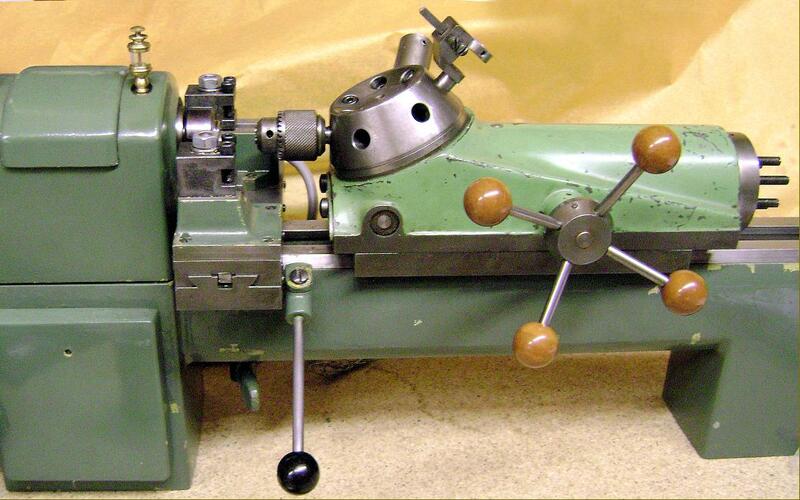 Apart from Swiss Autos and modern CNC versions of that and similar types, this early 1950s Lorch B VI PO-K was almost certainly the last conventional lathe to be constructed with sliding headstock thread cutting. 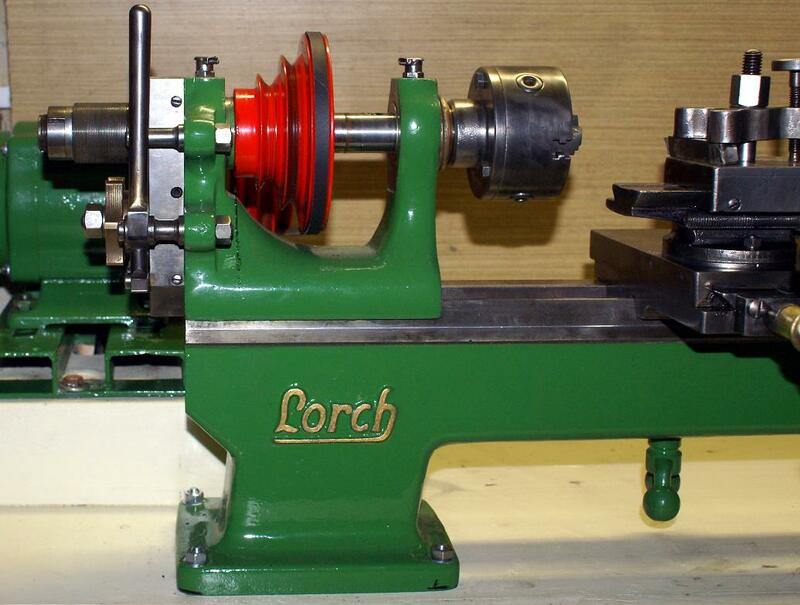 Lorch LL-K as a capstan lathe with the No. 24F 6-Station Turret Slide, the No. 5F Cut-off slide and the No. 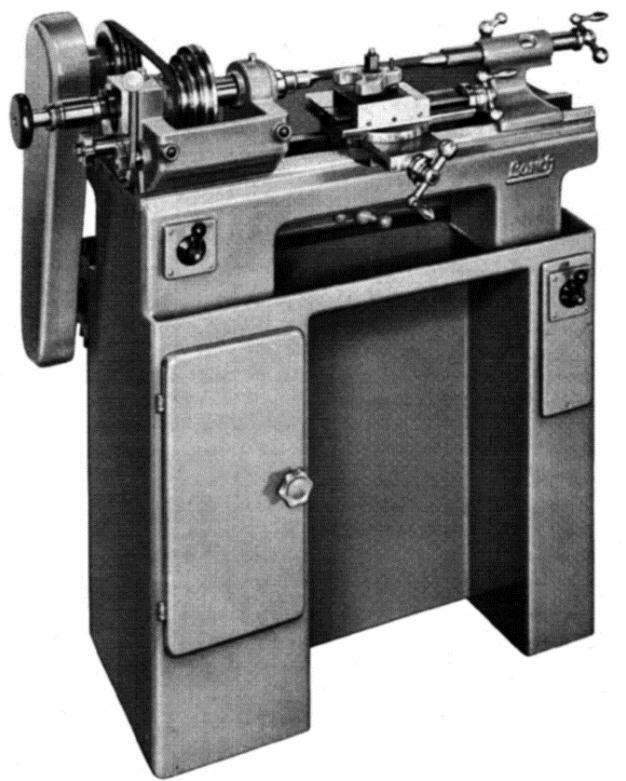 28A Lever-operated Collet Closer.